Nepal secures International Women's Blind Cricket Series - Integration Through Media ....! KATHMANDU: Nepal has managed to win the ongoing International Women’s Blind Cricket Series by points even before the final match. 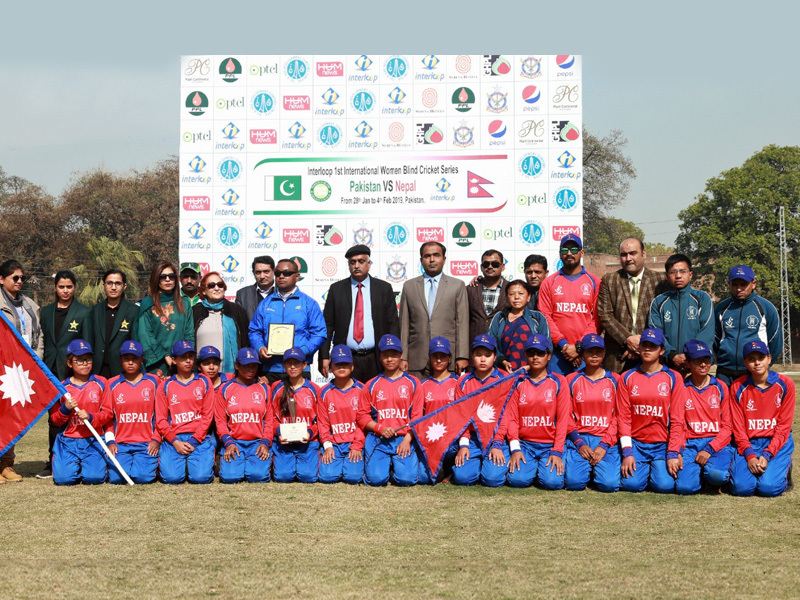 Nepal scored 3-0 in the Series wherein five matches will be played between Nepal and hosts Pakistan. Nepal registered three consecutive wins out of four matches. One match was cancelled due to rains. In the fourth match that took place on Sunday, Nepal defeated Pakistan by nine wickets. In chasing the 102 runs target, it achieved it in 8.5 overs at the loss of one wicket. Bimala Rai hit 42 runs, and Man KC Chaudhary remained unbeaten on 25. Likewise, Muna Aryal contributed 22. Elected to bat first after winning the toss, Pakistan made 101 runs in allotted 20 overs losing seven wickets. Nepal’s Bimala Rai was declared the man of the match. She received Pakistani rupee 15,000. In its first and third matches, Nepal beat Pakistan by 10 wickets. The fifth and final match will be held on Monday.